Are your business computers a liability? Computers should be a tool, making your business run smoothly. But set up the wrong way, they can be a disaster waiting to happen. Data is the lifeblood of any business network, yet many companies don't realize just how vulnerable this precious resource is. 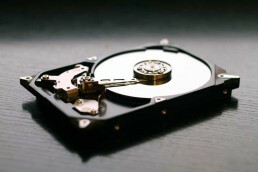 Hard drives are prone to failure, and if you don't have a recent backup, the result could be disastrous. Are you taking advantage of Cloud Computing? Integrate with the latest advancements in Cloud Computing. Reduce the reliance on on-site servers, backups and upgrades. Hosted Email, document storage and collaboration, whatever your needs, we can help you find the best solution for your business. Choose a solution that will scale and grow with your ever changing business needs. Businesses often rely heavily on the performance of their network, but may not realize it. Is it properly protected from hackers/attacks? Could you afford to be offline if the network fails? Is your Internet connection meeting the demands of your business? Your business is cut off from your customers without fast Internet. Can you afford to be offline if your Internet connection drops? A faster Internet is crucial for online Cloud based services. 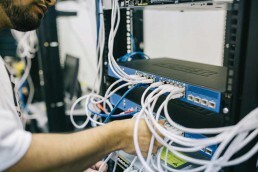 Online document storage, backups and hosted services such as email all rely on a fast, stable Internet connection. But is yours sufficient and are there better options out there?